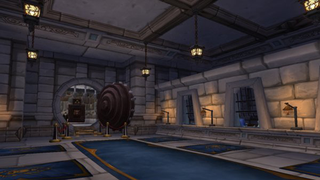 With subscription tokens , purchasable with gold, coming to WoW, people with enough in-game gold income might get away with not paying any real money to keep their account active. So why not go through a bunch of methods on how to make a small fortune in Warlords of Draenor? They might come in handy soon. Bellular collected ten really good ways in his recent video, without going deep into flipping the Auction House with dozens of characters or doing shady stuff. These are all basically combinations of finding the best solo content and using professions efficiently. Soloing 25-man Cataclysm raids. The more characters you have, the more you can do these each week. Bastion of Twilight trash runs. All you do is you go into the normal 25-man version of BoT, clear the first room of regular monsters, leave, reset and repeat. Doing Treasure Hunter follower missions using followers with the Treasure Hunter trait. Farming cloth at Sra'vess and the Ruins of Guo-Lai with a tailoring character. These spots seem to be the best ones gold- and item-wise in Pandaria. Focusing on Sorcerous transmutes with an alchemist character. Selling Savage Blood on the Auction House. It got a bit cheaper since patch 6.1 (on my server it still goes for around 450 gold each and people buy them in huge quantities), but it also got easier to collect them. Crafting Warlords of Draenor epics constantly. Gems and flasks still sell well on the Auction House. Farming the Battered Hilt in the Pit of Saron dungeon. It sells for thousands of gold on the Auction House. Doing Blackrock Foundry trash runs with a well-geared 5-man party converted to a raid. If you find any BoE epics, those go for tens of thousands of gold on the AH. So as you can see, making a lot gold in WoW is really easy nowadays, much easier then, say, two expansions earlier, and while you can spend it all on rare mounts, transmog items or pets, it's probably wise to save it till tokens are finally in the game.